Pack of 6 Disney Pixar Reusable Treat Favor Party Cups. Movie Halloween Themes Available - Monsters Inc, Minnie Mouse with Daisy Duck, Mickey Mouse and Friends. 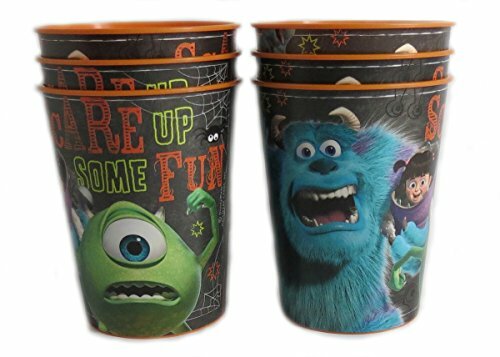 Perfect for party favor cups, treat cups, candy cups and so much more..
Halloween Themes Available - Monsters Inc, Minnie Mouse with Daisy Duck, Mickey Mouse and Friends.